01 Apr Oh So PRETTY! 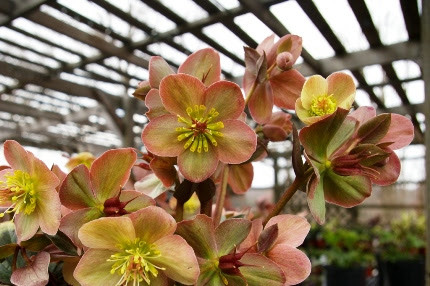 ‘Love Bug’ is one of our new Hellebores that is turning heads in our lath house. It certainly caught my eye! 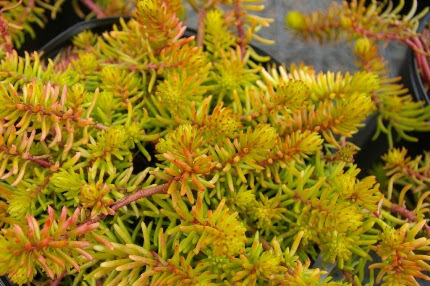 Weave Sedum ‘Angelina’ into your spring pots and windowboxes. Later you can add it to your permanent collection in your garden. It’s a great perennial and even looks good in the winter. golden foliage and Veronica peduncularis ‘Georgia Blue’ with cobalt blue flowers. 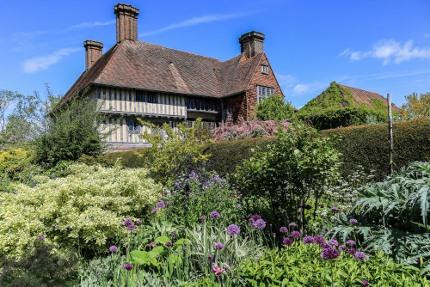 I have seen some stunning container gardens being planted up here this week. Remember, you can bring in your pots and use our potting bench. We have organic soil and fertilizer at the ready and my staff wouldlove to help you put some combinations together. Gardening is a family project in Diane’s household. at the CT Flower and Garden Show this winter. Walk-ins are welcome for this class if you haven’t preregistered. See details below. 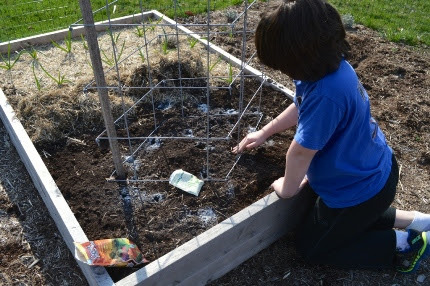 You can see Diane’s son planting peas into soil that has been sprinkled with Organic Plant Magic. They will be growing up one of our heavy duty tomato cages. 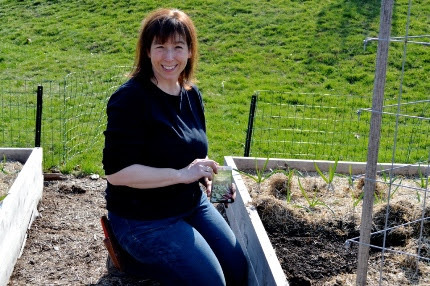 Diane makes it a family project to plant, tend, and harvest food. I wish I was that organized! I did notice that the tips of my asparagus spears are poking up through the mulch in my raised beds. I will steal some time this Sunday, when I am off, to work in my own edible gardens, cleaning up and pruning raspberries. NEXT week we will be getting our first shipment of cold tolerant early spring organic veggieseedlings such as broccoli, onions, lettuces of all sorts, spinach, and more. Our asparagus roots and organic seed potatoes are expected to arrive by this weekend. Because I garden in accordance with the phases of the moon, I am planning on planting my peas next April 8th and 9th. We just got another shipment of our Gardening by the Moon calendars. This is an ancient practice made simple when you consult this calendar each week. The other class I am teaching this coming Saturday at Zion Episcopal Church is Overcoming your Fear of Pruning. I LOVE to teach pruning and this is a wonderful class that will cover all the basics with a special focus on hydrangeas and clematis. I have been gathering photos of pruning techniques for a long time to illustrate this. Again, walk-ins are welcome if you have not preregistered; see details below. where I put up pictures of the gardens we will be visiting and the hotels where we will be staying. My Potentilla shrub after spring pruning. Because it blooms on current year’s wood, it is open pruned now. 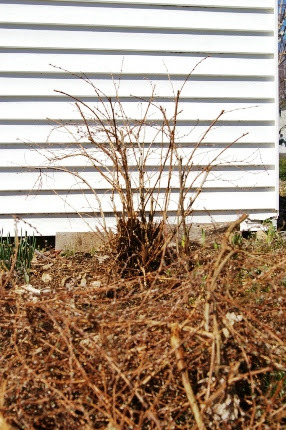 Learn how to prune all kinds of flowering shrubs at my Pruning Workshop at the Zion Episcopal Churchthis Saturday.